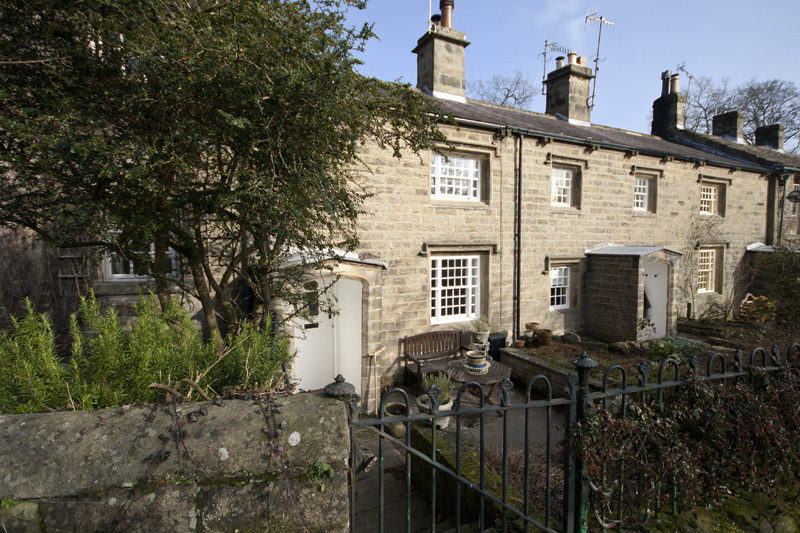 Dating back to around 1780, Bewerley Hall Cottage was the former home of the Head Gardener who worked at the local estate of nearby Bewerley Hall. Today, we hope you’ll love what we’ve done to the place and the homely feel we’ve created just for you. 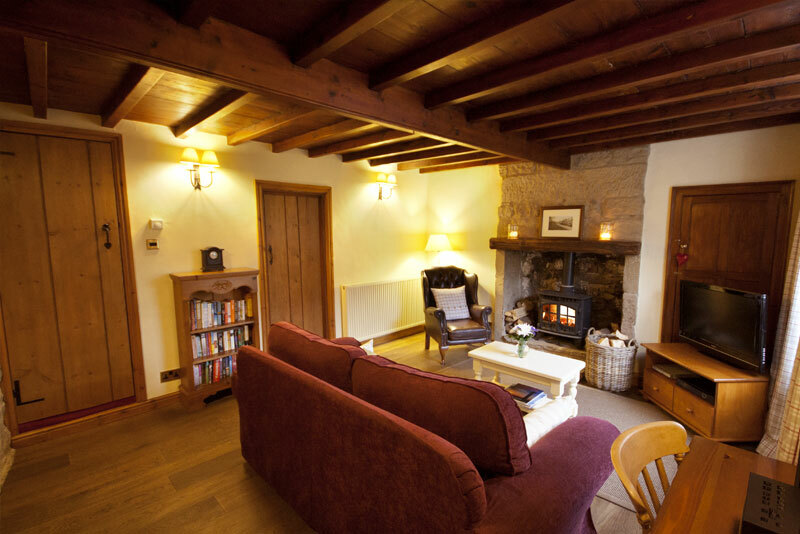 Stone steps will lead you into the sitting room, where you’ll be welcomed by an exposed stone wall, a fabulous log burning stove situated in the Inglenook fireplace and local art gracing the walls. 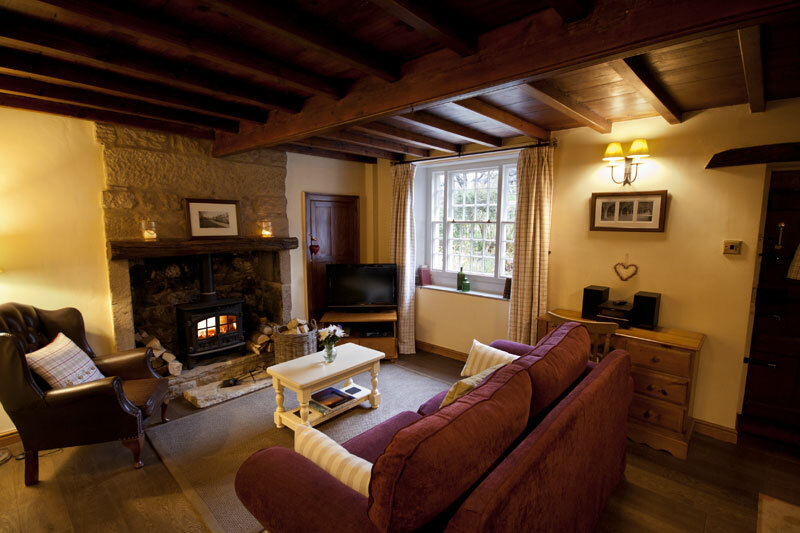 Cosy up on the sofas, watch a DVD on the flat screen TV, complete with BT Vision or snuggle up with a glass. 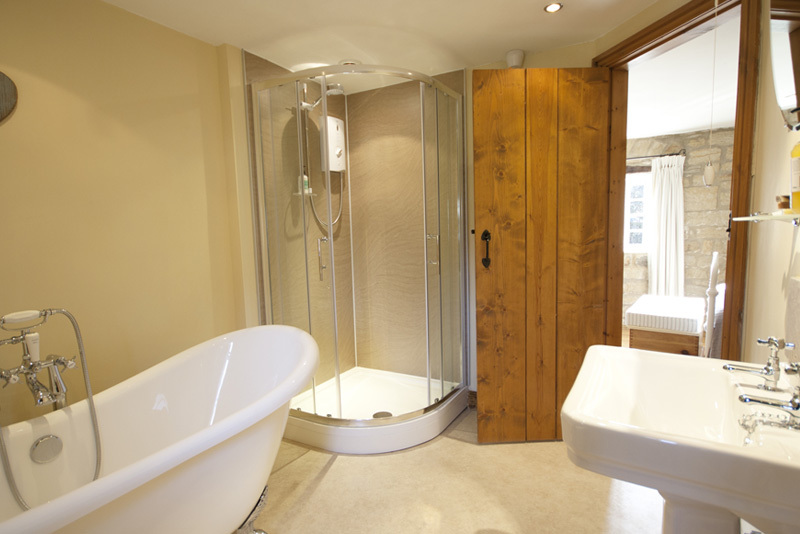 There is complimentary Wi-Fi and private off street parking is available for two cars around the back of the cottage. Serve up a treat or two in the oak kitchen with its characterful wooden ceiling, exposed stone and timber framed mullion window. Cath Kidston and Emma Bridgewater touches here and there, creature comforts include dishwasher, washer/dryer and a fabulous downstairs boot room and garden room overlooking Bewerley Park. 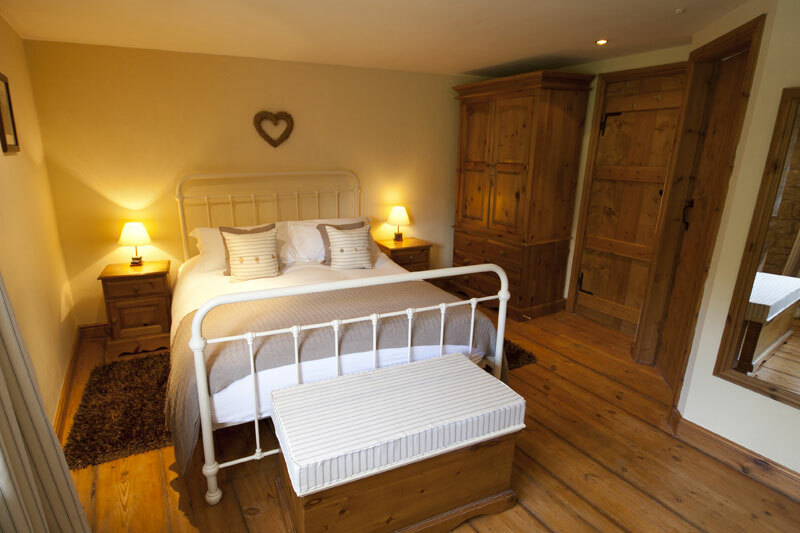 Take to the stairs and find yourself in a beautifully appointed romantic bedroom, complete with King Size bed dressed in Egyptian cotton white bed linen from the White Company, feather duvet and pillows. 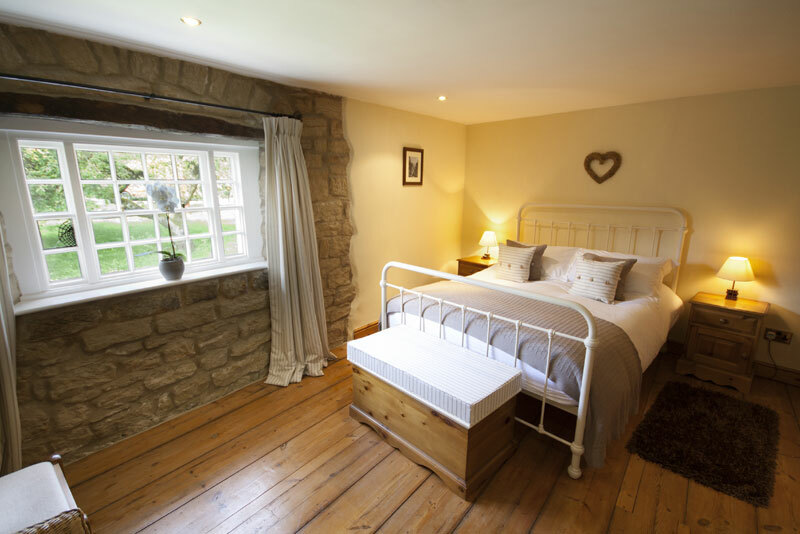 Exposed stone walls, local art and wonderful views can be enjoyed from the window overlooking the village green and Yorkes Folly beyond. 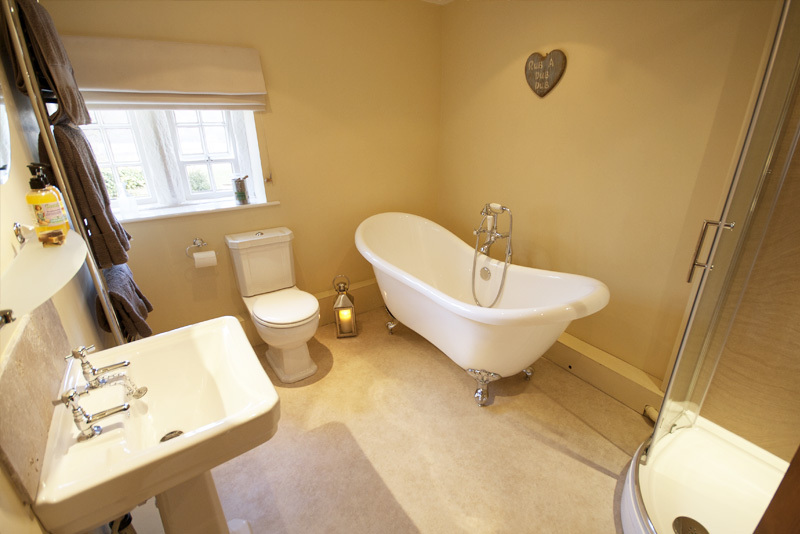 Step into the en suite bathroom and relax in the freestanding slipper bath or separate free standing bath and shower with locally sourced traditionally made toiletries from Oakwood Aromatics and fluffy bath sheets. 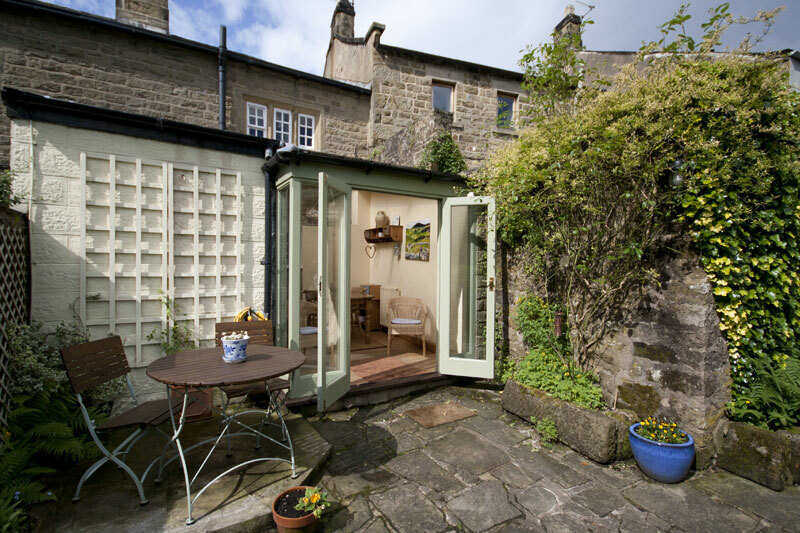 Follow the sun around the cottage during the day, super patio garden to the rear and a ‘gin and tonic’ bench to the front. There’s homemade lemon drizzle cake in the kitchen, along with a few other local goodies to welcome you with in the fridge! 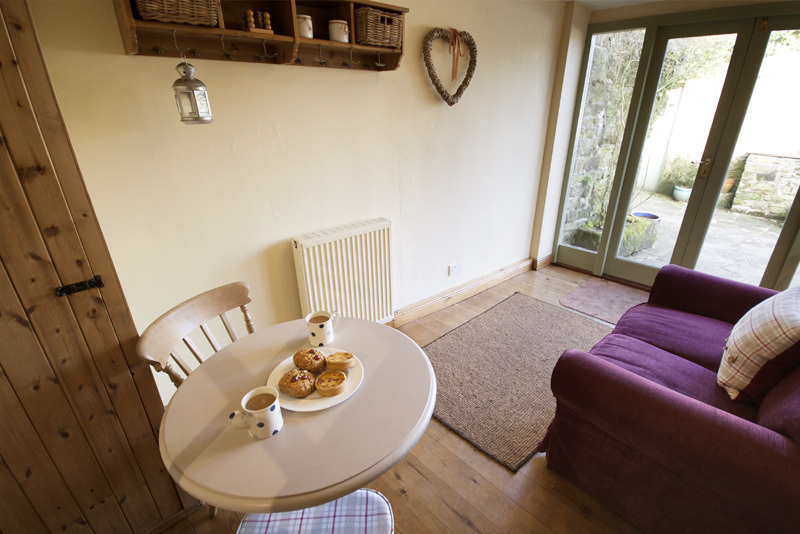 The fire is laid and the kettle's on, just make yourselves at home and most importantly – enjoy!